Join us on Friday, March 8, 2019 at 11:00 a.m. Pacific for our State of the Game Live Stream on our Twitch channel. We’ll be covering and taking questions about our Creative Director’s Letter that will release on Thursday, March 7, 2019. 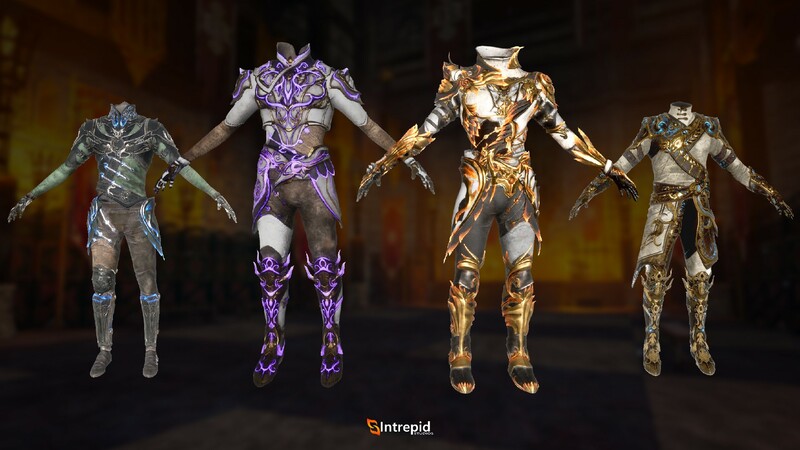 This letter will cover Intrepid Studios’ new hires, the state of the game, and what is planned for the future along with details on our content release plan. We can’t wait to share all of these details with you, and if you can’t tune in to the live stream, don’t worry! We’ll also have it up on our YouTube channel afterwards. 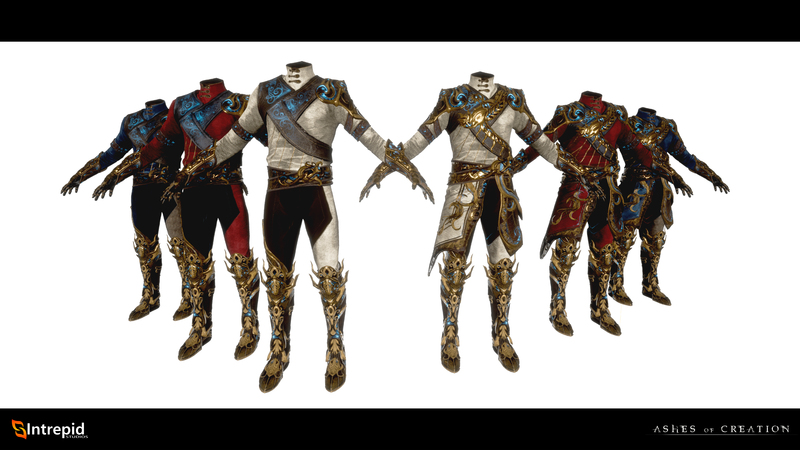 In the meantime, we snagged some mana-forged armor sets in development for you to take a look at! 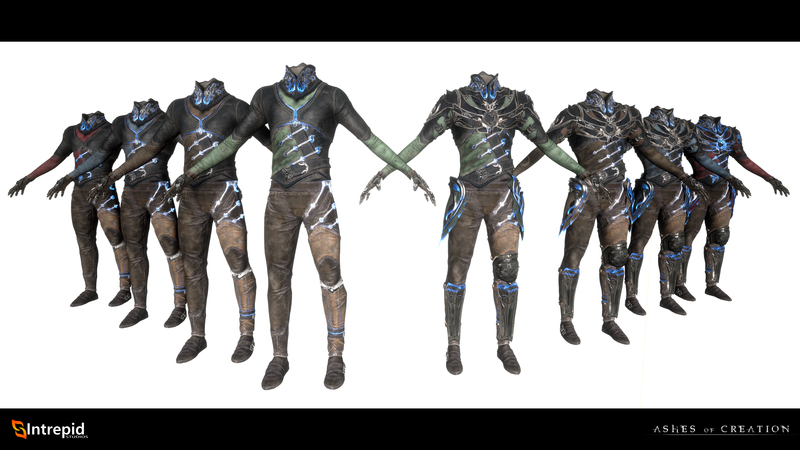 Verra will be filled with many sets of armor, each set uniquely carved into the history of the world. 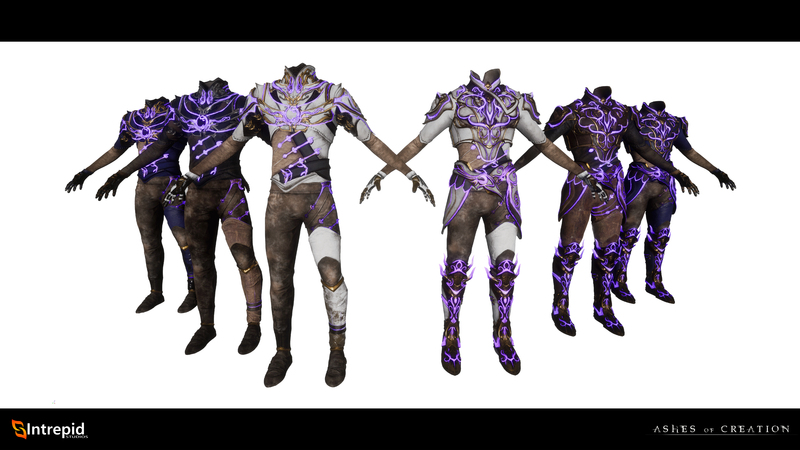 Mana-forged sets are distinctly vibrant with luminescent magic, pulsating across the body of its hero. 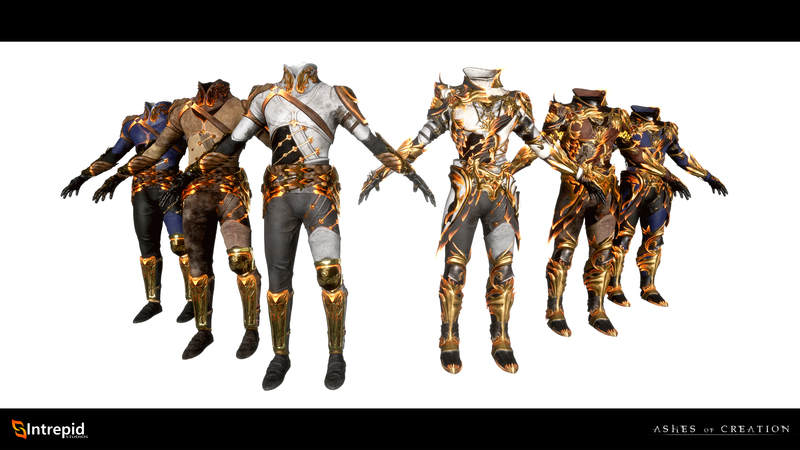 We hope you enjoy them, and look forward to many more glimpses into the armors of Verra, waiting for their champions! Every stitch is a silent prayer: a cry for protection and safety against a harsh world. The soft light is a wordless answer: pass through the night and go in peace. When blacksmiths work droplets of the setting sun into plate and steel, heroes need not fear the dark, nor blade, nor claw. Only the glow hints of something beyond the leather, stitching, and steel; but those who wear this armor hear the songs of the deep, and know they are guarded by things beyond the ken of mortal men. The Runeweavers of Verra believe that beauty lies where function meets form. The armor they make finds wanting for neither, and none would dismiss the beauty of their craft.